The International Conference was part of the European programme "Education for Rural People and food security "coordinated by the Ngo ACRA and FAO. 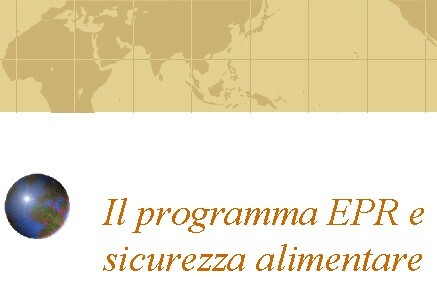 The Conference was promoted by Acra in collaboration with FAO and by the Association of Italian NGO's- Coordination Sud within the European Food Security Group/ Food and Agriculture Policies, the Confederation of European NGO's for relief and Development, and with the participation of UNESCO. The Conference was attended by 30 participants.